As we always hear the devil is in the details! 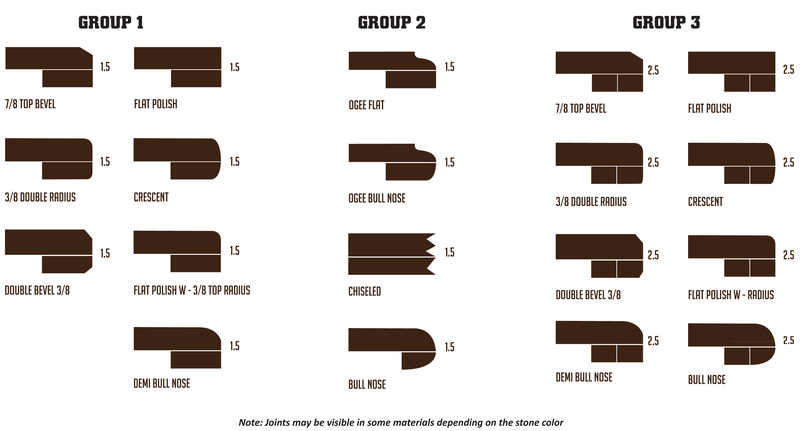 It is important to consider what type of edge profile you need for your countertops. While looks are important, also take in to consideration cleaning and safety for children or pets. There are an array of edge options to choose from regardless of the material you select. 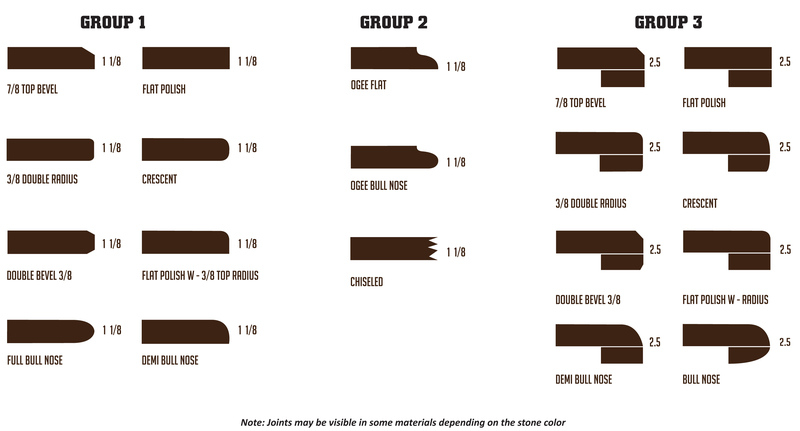 Please keep in mind that joints may be visible due to some material’s color.